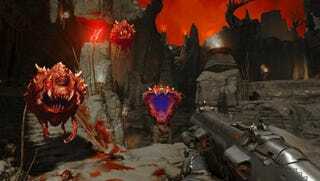 The new Doom looks like a cartoonishly over-the-top romp through gore hell, land of infinite sorrow (and gore). But I don’t know. It kinda feels like something’s missing. Again, I can’t help but kind of dig it. Don’t get me wrong: I’m all for classic series going in new directions, but I miss old-school Doom’s relentless pace and sinister, slithering atmosphere. It sounds like a lot of fans feel the same way. Oh well, I suppose there’s always Doom 4’s obvious inspiration, Brutal Doom, which is basically Doom 4, except Doomier.